AM Rentals has been one of Ireland's leading suppliers of hedgetrimmers & hedgecutters since our website launched! With a wide variety of hedgetrimmer & hedgecutter models to choose from we offer the best choice available at the best prices available. 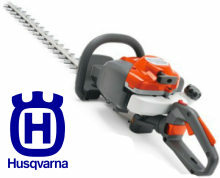 We stock hedge trimmers from Stihl, Husqvarna and Tanaka. We have a hedge trimmer or hedge cutter to suit every job, from the domestic home user to the heavy commercial user. Our huge range of petrol powered hedgetrimmers & hedgecutters are suitable for users looking plenty of power and the freedom to roam away from an electrical plug. If you have tall hedges that need trimmed you can check out our long reach hedge trimmers or if you are in the market for a multi-system tool that can strim the lawn, prune a tree and cut the hedge check out our Stihl combi system and Tanaka smart fit pages. 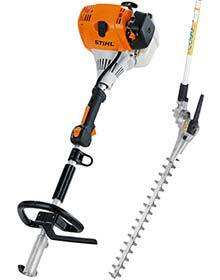 Stihl Cordless Hedge trimmer HSA56. 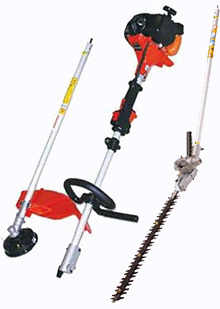 Only: £199.00 inc vat - more details on this battery powered hedge trimmer here. Only: £279.00 inc vat Update 18/09/18 - special sale price now £249.00 inc vat. Ideal hedge trimmer for domestic work. Hedge Cutter Sale - Telephone. Newry 028 302 66665 / From ROI 048 302 66665. A.M. Rentals, Newry, Northern Ireland. 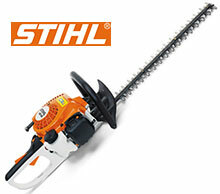 Suppliers of Stihl trimmers and Tanaka trimmers to All of Ireland. Delivery available Nationwide, Hedge Cutters are available delivered for an additional £10.00.